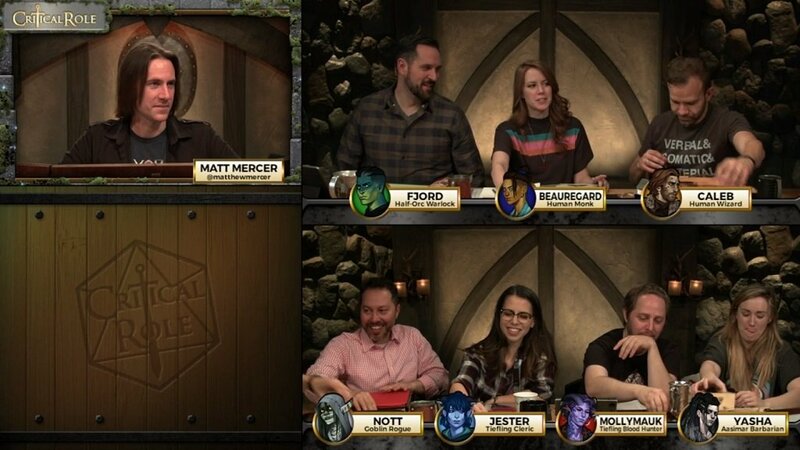 Big news for D&D streamers and audiences out there, D&D Beyond and Twitch have rolled out a new extension, enabling viewers and streamers to customize their online D&D experience. If you can hearken back to last year, which seems so very far away now, when D&D Beyond was first rolling out, one of their big goals was implementing a Twitch overlay that would allow people watching a stream to do things like, pull up a character sheet, track hit point and status changes in real time (among other things). Now that day is here, as D&D Beyond and Twitch recently announced the D&D Beyond Twitch Extension. 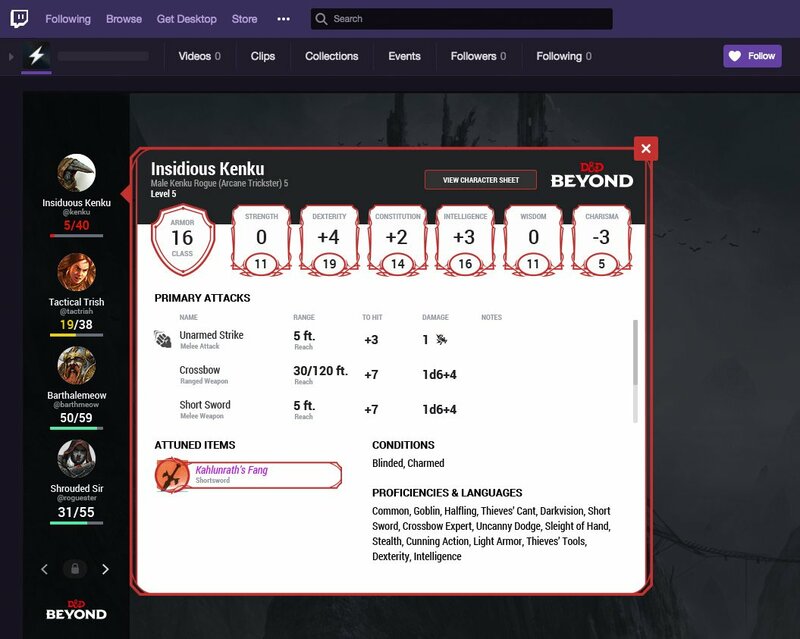 Introducing the D&D Beyond Twitch Extension – an interactive addition to your stream overlay that displays on-demand character statistics and status details from D&D Beyond. 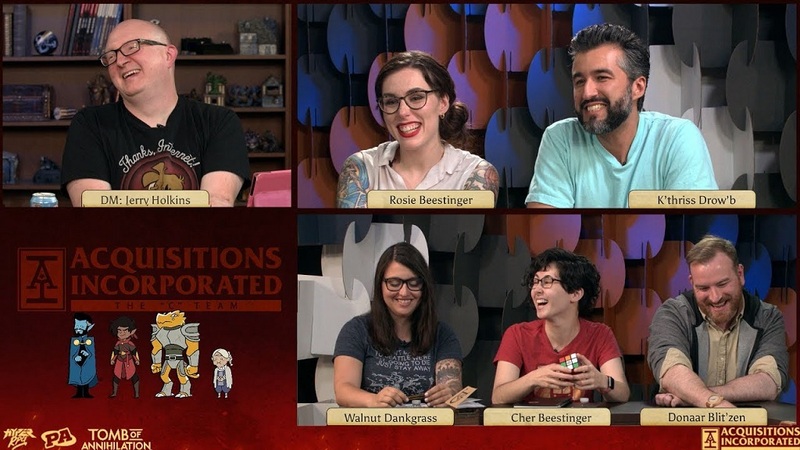 Watch as hit points are updated and active conditions appear on the screen in real-time, and click to view character summaries or full digital character sheets on D&D Beyond! Essentially this is a big overlay that you can install whether you’re streaming your D&D game or watching one–and it will allow you to pull up character sheets. It’s an interesting idea, one that casts new light on the relationship between streamed show and audience. A big part of these shows’ success (for the successful ones at least) is the strength of the community that bolsters them up. A D&D show is a game of D&D through a different lens. You’re still there to share in the adventures, but you’re engaging with them differently than if you were at the table. Trading in agency for depth of character, or for expertise in some cases. But an extension like this helps break down the barrier between audience and actor a little. You get to be a part of the action, at least a little, but how much of an impact this will have is yet to be seen. Will it embolden a new bunch of armchair quarterbacks, who can tell you what they would have done if they’d been down to X hit points and still had five slots left. Will it mean more people in the chat reminding you that you haven’t used up all your 3rd level spell slots? If I were using this, it seems like another way to communicate a little more personally with the audience. This is a great place to put character background information, or to get a little closer to what a character’s perspective is. 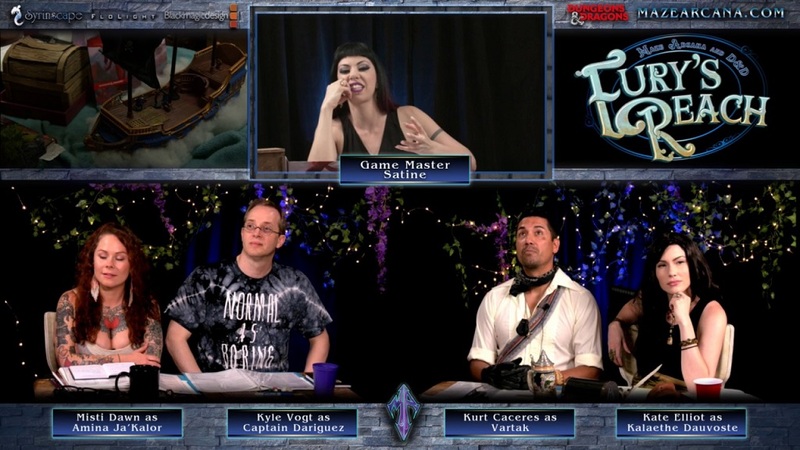 After all, one of the things that I find entertaining about D&D streams is watching how other DMs do their work. If I were watching as a player, I’d love to see the notes other people take, watch how they update and choose spells, that sort of thing. It’s bringing the audience aboard the decisionmaking process, at least so they can see what goes into it. And it’s all an interesting part of this world we live in, where people will routinely gather around a screen to watch a bunch of friends playing D&D. It’s a strange future–but it’s one where people want to find their community. Want to see how other people play this game we all love, and see it played well. Or at least in a spectacularly entertaining fashion. And to feel invited to the table while this is happening–that could be huge for Streamers and Audiences alike. We’ll have to see how exactly this unfolds in the next few months. In the meantime, what do you think of this initial announcement? Boon to Streams? Bane of everything? Don’t much care for Streamed RPGs? Let us know in the comments!